If you’re working in a restaurant and have put in hours and hours and are still wondering when the excitement starts… maybe restaurants are not the thing for you. If you have owned a restaurant for years and years and are ready to retire or any of the above hits home, this post is for you. You may intellectually know that selling your restaurant, or any business really, is frightening and full of unknowns. Your friends and relatives may tell you “You’ve put so much work into it! Just wait until it turns around!” Meanwhile, the idea keeps returning to you day after day, as you put your keys in the door and turn the lights on in the kitchen. Are you the person who gets the sense you would be happier in a different career? Are you passionate about the restaurant industry but just not as a restaurant owner? Did you find yourself way in over your head once you bought your restaurant? It could be time for a change in your life and you just may be ready to sell your restaurant. In working with hundreds of entrepreneurs each year, we see common signs that now is the time to go ahead, take a deep breath and sell a restaurant like yours. If you’re experiencing these signs, it may be time to stop procrastinating and sell your restaurant that seems to be holding you back. When you first bought your restaurant, you were beyond excited. You had a pep in your step every day and woke up before the alarm clock even went off. Now the realities are hitting home; you get calls after hours, you are begrudgingly sliding out of bed and dread going into your restaurant in the morning. You love the people and what you put out, you just don’t have the zeal you once did. This is sign number one that you may be ready to sell your restaurant. Signing the papers for the deed of your eatery, you had dreams of wads of cash and a packed dining room every night. The truth is, restaurant owners don’t always see profits quickly. If you thought you could get in, get rich, and get out – you definitely were surprised when you found how much time it takes to turn red into black in the restaurant industry. This could be the second sign that maybe you should sell your restaurant. 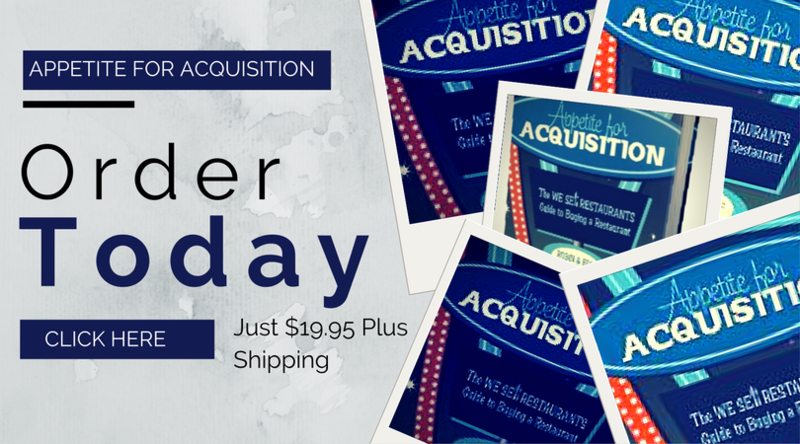 You originally got into the restaurant business to build a nest egg, or a legacy, for your family. However, more and more, you are finding that you are missing family dinners in favor of dinner rushes. Showing up late to sporting events because the food delivery wasn’t on time. Missing your anniversary because your calendar is full of inspections, deliveries, payroll, scheduling and more. If your restaurant is getting in the way of your family, this may be a sign you are ready to sell your restaurant. When you started your business, you may have been young, with few responsibilities. You were fine with the ups and downs of the business as your needs were minimal. Now you have a mortgage, two kids and a wife and feel the need for steady income. That makes sense and is often a reason to sell a restaurant like yours. While you’ll never earn as much for someone else as you will working for yourself, you’ll also never have the potential to lose as much either. If the amount of risk on your plate keeps you up at night, give us a call. We have buyers ready to go that have measured the risk and find it perfect for where their life is at the moment. You lay awake often wondering what would’ve happen if you sold your restaurant earlier or never bought one in the first place. It isn’t quite the lucrative money-maker you thought, and you are bogged down by the “what ifs” – “What if I bought that tech start up instead?” or “What if I decided to go back to college instead of running this restaurant?” Your head is filling with things and none of them are your restaurant – this is a sign that it is time to sell a restaurant like yours. Whether it’s that you’re not happy anymore, you want to forego the long nights in favor of something more family-friendly, your restaurant is not performing like it once was, or if the possibilities are keeping you up – Relax. It may just be time to sell your restaurant. Review your motivations, your yearnings and your thoughts over the past few months. If you’re exhibiting all these signs, it could be that you are indeed, ready to sell. 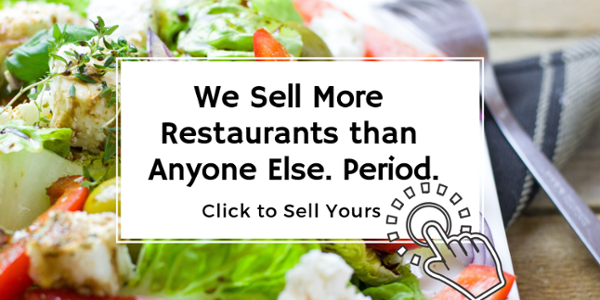 We Sell Restaurants is the number one restaurant brokerage firm in the country! We would be happy to sit down and talk to you about the possibilities of selling your restaurant.